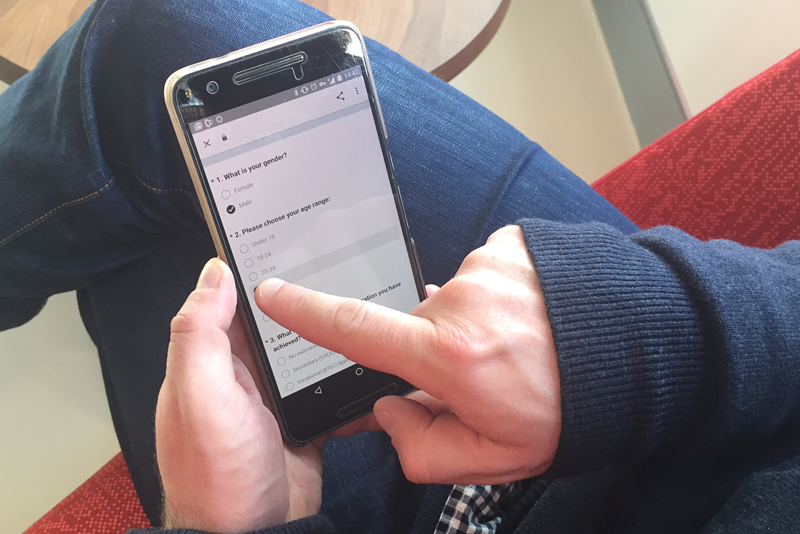 Caption: A user filling out a survey. As you were filling in that survey, did you feel as though you were really, genuinely able to express to that organisation how you felt about the thing they were asking you? About the actual experiences you’ve had? This is important to remember whenever you’re looking at research reports full of statistically significant graphs. Always make sure you are critically evaluating the quality of the research data you are looking at — no matter how large the sample size or whether it has been peer reviewed. To achieve this we use observational research techniques and iterative processes that predate both the internet and computers — having their foundations in ergonomics and later in human computer interaction. The building company she worked for has recently gone out of business and she’s now working part-time at the local supermarket while looking for work. Of course there are times to use surveys and randomised control trials — no research method is in itself inherently bad. But if you’re in the business of designing government services and making them work better for users (which means better outcomes for government too) then you need to make sure you’re not automatically defaulting to research tools that don’t let you dig as deep as our users deserve.